Here are some of the questions I'm asked most frequently, and my best answers to each. A: There's a basic rate for hourly, half-day, and full-day services. See the Services page for details on those. I also offer specials and flat rate quotes that vary from project to project, so please contact me via e-mail or phone. A: I accept cash, check, credit, debit, Paypal, Venmo, Amazon payments, and even Bitcoin (but let's avoid that one). Q: Where can I listen to your work? A: Click on the Samples link in the nav bar. It takes you to my Soundcloud archive, where you can hear dozens of my recordings, mixes and masters from recent years. A: Yes! If you need proof, visit the above link to my Soundcloud archive. You will be hard-pressed to find a better engineer. Q: What are your hours / Can I come by at X o'clock? A: Hours are by appointment only! That's why there's no specific address listed on this site or any directory: I cannot accommodate walk-ins. Generally, I work and answer communications from 10am-7pm, 7 days a week. If we've met and I trust you, I'm willing to work both earlier and later than that. Q: Can I come in to record a half hour from now? A: No. I need at least a day's advance notice to schedule your session, as it's likely I already have a project scheduled on any given day. Plus, I like to meet my clients before working with them. Remember, I need to want to work with you too! Q: Can you make me/my group sound like X? A: Yes! There are of course limitations to how much you can sound like another artist, based on your own tones, equipment and skill. However, if you provide me with a commercial reference recording, I am highly skilled at achieving comparable and professional results in just about any genre. Q: How long would it take to produce my song/project? A: This varies widely based on genre, complexity and length of your material, as well as how skilled you are at performing it. It's impossible to answer this accurately on paper; that's why I ask you to call or email me to get a better idea. I can say this: many 4-5 piece rock bands have historically taken about 8-12 hours per track from start to finish, including all recording, editing, mixing and mastering. I can also say that many Hip-Hop tracks take about an hour, provided the artist brings in their own backing track. A: First, call or e-mail me. I'll figure out a workable session time and date. Next, put a $50 deposit down for your scheduled session, and sign my basic work contract. Lastly, show up on time! Q: What if I need to reschedule or cancel? A: If an Act of God prevents you from coming in on a given day, I'll understand; just let me know ASAP. Otherwise, please reschedule with no less than 24 hours notice, or cancel with no less than 48 hours notice. If you cancel at the last minute or don't show up, you'll forfeit the $50 deposit, as you'll have wasted a scheduled day of my time and I will not be able to fill it back up. Q: I don't play instrument X, can you help? A: Almost always yes. I play guitar, bass, drums, and I sing. I frequently program realistic drum lines, and can program other instruments including piano, synthesizers, string sections, choir sections etc. Q: Can you fix up my voice and make it sound perfect? A: Yes, given at least a decent performance. I am highly skilled in vocal pitch correction, timing, editing and mixing. Q: What is Mastering? Should I have my project mastered somewhere else? A: Basically, mastering is finalizing your project so it is ready for distribution. When many musicians look into mastering, they automatically think "making my music louder". Sure, that's usually part of it. Specifically, the mastering process is different for every track, and varies greatly in complexity based on the quality of the mix going in. I might simply saturate and level out one track, and I might need to rebalance various elements of another track. The technical process can be quite complicated, and varies from engineer to engineer. A mastering engineer needs a very experienced ear, good A/B model mixes, and extreme familiarity with their equipment and consumer products. I am highly confident in the quality of my mixes and masters, and know that I won't put out any product that cannot stand up to commercial tracks. The reasons to bring mixes somewhere else for mastering usually involve downplaying single-engineer ear tendencies. Then again, an engineer with a superb ear should be more than capable of handling both mix and master. I feel I am one of these qualified individuals, but if you feel the need to take my mix somewhere else to master, I won't stop you. Q: Do you do Voice Over / Audiobook production? A: Yes! I have an incredible amount of experience recording, editing and mixing vocal performances of various types. As far as audiobooks, I record as per usual, and edit/mix/master to match Amazon's ACX submission guidelines. Q: Can I record a karaoke performance? A: Yes! Please try to bring in your own backing track. If you cannot find one, I can attempt to find one here. You'll just need to keep in mind that most backing tracks available online require permission or licensing to legally be distributed or used for anything but personal purposes. 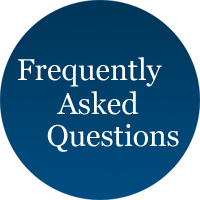 Q: Can I book several days/a week straight? A: Yes! Same as booking anything else - give me a call or e-mail, and we'll go over options.